Another thing which had me busy running (or power walking) around in September was taking part in the Shine Walk raising money for Cancer Research. Over the course of the summer I’ve been walking EVERYWHERE building up to the 13.3 mile night walk through London with a group of friends from work. I really enjoyed the event and there was a great atmosphere walking round with all the walkers and lots of people on the street and in cars were cheering us on! I’ve never done anything like it before but would definitely do another one – who knows I many even work up to a run! It was a good personal achievement and I raised lots of money for a really good cause too. 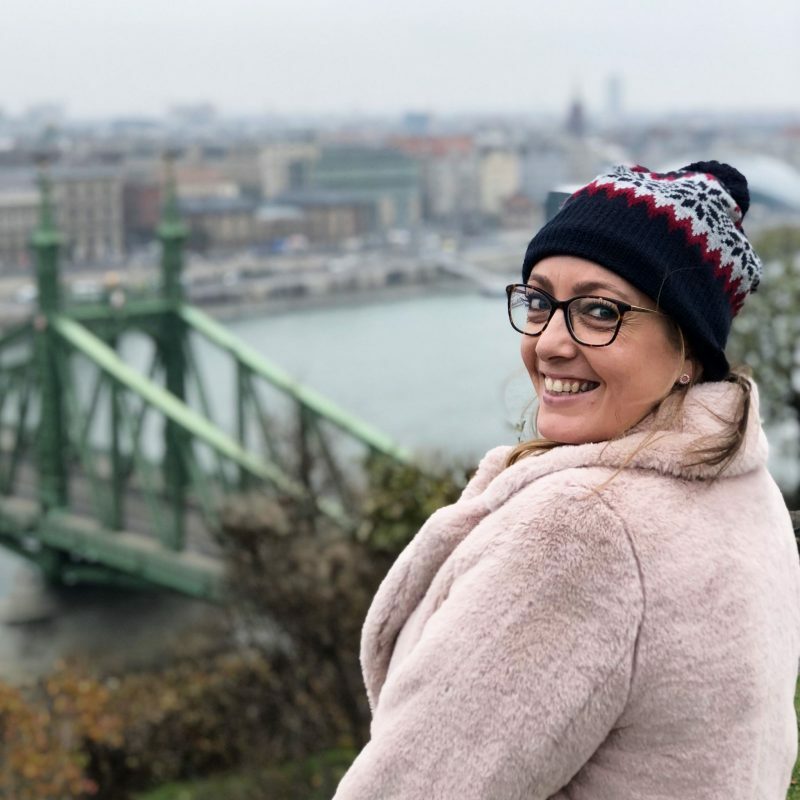 It’s definitely given me the encouragement I need to sign up to walk the Great Wall of China to raise money for Parkinson’s UK. Watch this space! 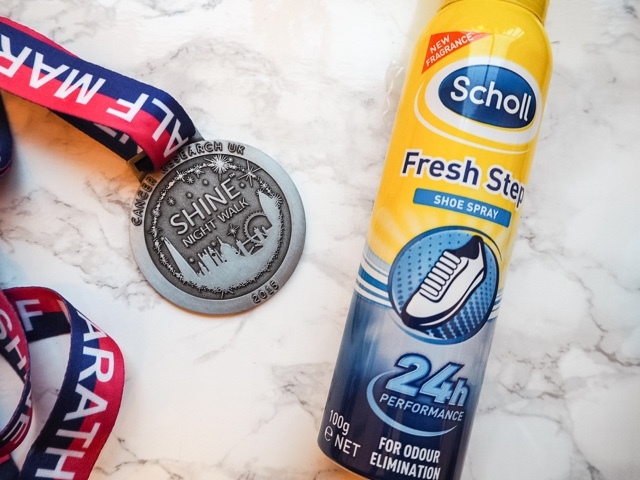 So after all that walking and training it’s no wonder that this Scholl Fresh Step Shoe Spray appears in my Favourites this month! I featured this on my blog a couple of months ago as part of my Summer Foot Care Essentials post and it really is brilliant for stopping your shoes from smelling. As well as doing lots of training walks gearing up for my Shine Walk we also had a really horrid wet start to September with non stop rain which played havoc with my footwear (who knew so many of my pumps had holes in the soles or just weren’t waterproof?!) A few sprays with my Scholl Shoe Spray though and the pongy wet trainer smell has completely gone! Phew! 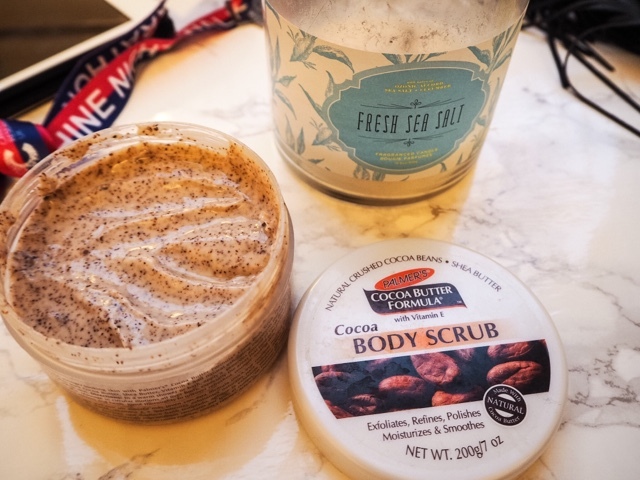 I raved about the Palmers Cocoa Butter Lotion in my August Favourites and so I decided to try out some of their other products and have been loving their Body Scrub. I get really dry skin, particularly in the Autumn / Winter time so wanted a new body scrub to keep my skin exfoliated and smooth and this one is lovely. It smells like chocolate heaven (particularly when teamed with the Palmers Moisturiser afterwards!) and has really nice sized exfoliants in. I have quite sensitive skin and was worried it might be a bit harsh for me, but it’s actually nice and gentle. It was only about a fiver in Superdrug too which is a right bargain compared to some brands. I’ve got a new candle fave this month. I bought this aaaaaages ago in the Clintons sale and I think it was only £5 which was pretty darn bargainous! It’s a gorgeous fresh scent with notes of sea salt and cucumber, which fills my flat and lasts for a really long time. I’m really sad I’ve burned away so much of it, but it really was a life saver this September. My boyfriend went away for 10 days and the first day he was gone the light bulb in the living room blew. My ceilings are super high and we don’t have a ladder (my 6″2 boyfriend has to stand on tip toes on the arm of the sofa to change them) so there was no way I could reach! Thankfully my double wick Fresh Sea Salt candle was there to give me some light, as well as making my flat smell beautiful. My trusty vintage Longchamp bag is starting to look a little bit too tatty so I really wanted a new small across body bag to wear when going out. I saw this New Look bag in store at the end of August and snapped it up instantly (which is actually quite rare for me – I usually go away and think about whether to buy things before actually purchasing them! – such a Sensible Sally!) I love the slim design of it and pebbled effect faux leather. 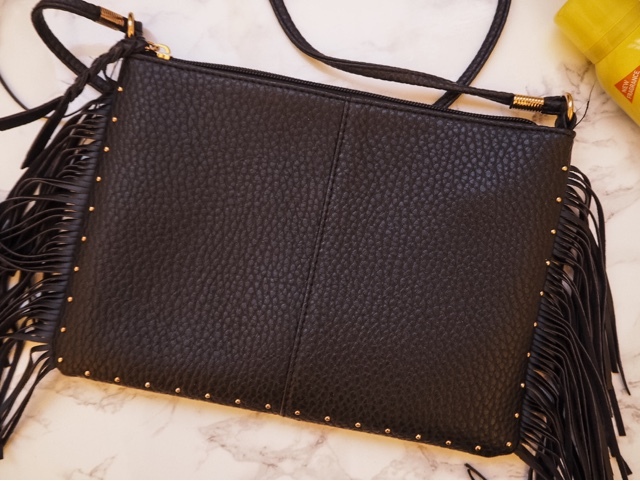 The studs and tassels give it a bit of interest (and are always in style each summer) and it was such a bargain at only £9.99! I have become obsessed with Pia Mia this September! I loved Do It Again and have been listening to her EP The Gift on repeat too. Please can I be besties with her and Kylizzle?! 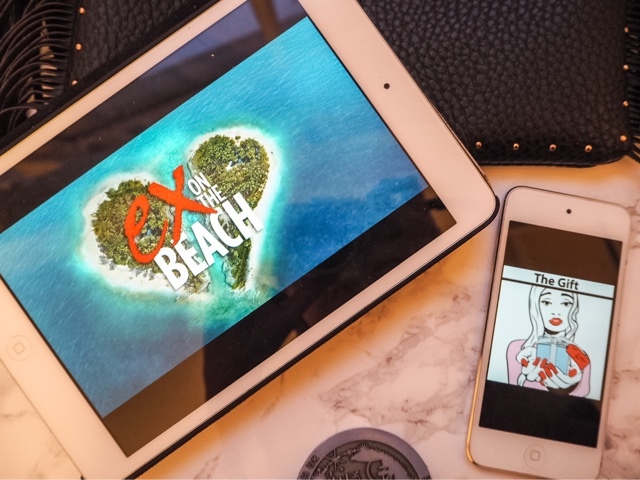 Something which has mortified my boyfriend but delighted me throughout September is Ex on the Beach! Please tell me you watch it as none of my friends do and totally telly shame me for doing so! I never got in to any of the other series but this year’s characters are absolutely hilarious, and totally crackers! I LOVE IT! So there you go, those were my September saviours! 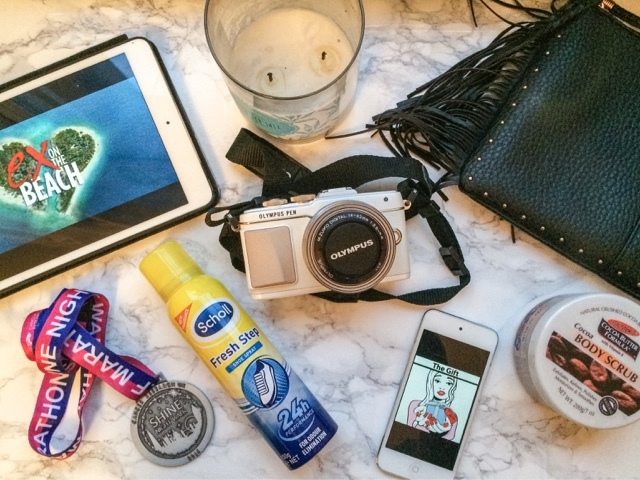 I’m really enjoying writing my monthly favourites posts and can’t believe it took me so long to jump on the bandwagon! I love reading everyone else’s so please do leave me your links below. 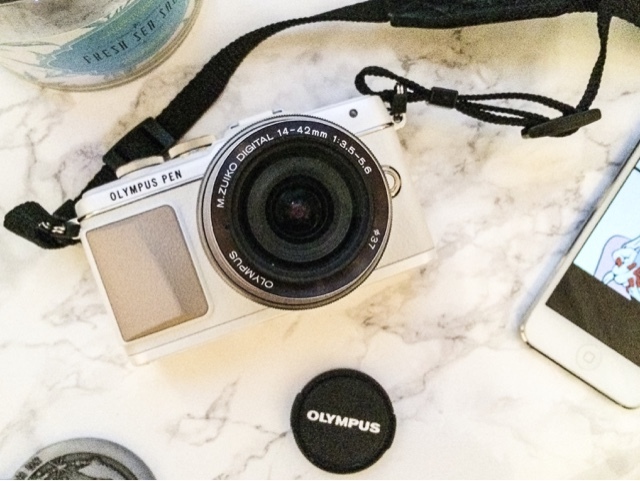 What were your favourite things in September? *Thanks so much to Scholl for inviting me to try out their Fresh Step Shoe Spray. All thoughts are honest and my own. For more information please see my Disclaimer Page.